Whether its January 1 and you're making New Year's Resolutions, or the middle of the year and you're setting goals, you need a plan of attack that will help you stick to them. Research suggests that most people give up their New Year’s resolutions by February. The same is true to goals set other times of the year. Within a few weeks, the motivation wears off, and people are back to living their same ole lives. The challenge, then, is to find a way to stay the course set on January 1 or whenever you make a goal. Starting or building a profitable home business is no different. Many people set out to become their own boss and within a few weeks or months, they’re back to their lives as usual, their home business dream sitting on the shelf again. 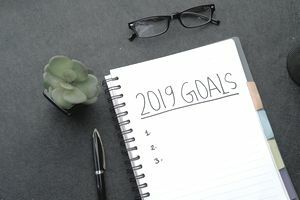 Whether you’re setting a New Year’s Resolution to start or build a successful home business, or it’s the middle of the year, here are things to do now to improve your chances of success. There’s a saying that the past is a predictor of the future. There is some truth to that IF you continue to do the things you’ve always done. The only way to have a different outcome in life is to figure out what’s not working and then do something different. This is especially true if you’ve been unsuccessful in your home business attempts in the past. You need to get honest with yourself about what got in the way. It’s easy to blame the family, the economy or the weather, but the truth will most likely be something more personal to you, such as a fear of or resistance to doing what needs to be done. If you’re not honest with yourself during this step, you reduce your chance of success in the future. Many would-be home business owners get stuck on their journey by something they don’t know. For example, maybe they need to make a website, but don’t know the steps to get it done. It takes time to learn new things, which is why many home business owners end up not getting started. Make learning a part of your getting started (or restarted) plan. If you don’t know how build a website or do social media marketing, make time to learn it. Get a book, take a class, or search the Internet for the information you need. Learning not only gives you the knowledge you need to get things done, but also, the information to avoid pitfalls and problems. There are many reasons home businesses struggle. One of the biggest is an owner who gives up too soon. Building a home business requires mental fortitude, a thick skin, tenacity, and the ability to keep an eye on the prize. The difficulty is in developing these attributes if you don’t have them naturally. The best option is to hire a coach or get a mentor, who can guide you in the right direction and push you when you start to falter. The next best solution is to join a mastermind group. Finally, you can become your own coach by reading books on success and motivation, and actively following the advice they give. There are many moving parts to a successful home business. It’s easy to get lost in the busyness and feel like there’s a lot of work for little to no results. Creating a tracking system will give you the feeling of accomplishment as each task or milestone is completed. Tracking allows you to see your growth as well as pinpoint areas that are stalling. Too many people see difficulties or failures as stop signs. But if you returned home every time you drove over a speed bump or hit a road block, you’d never go anywhere. Instead of seeing challenges as reasons to stop, re-frame them into something that pushes you forward. Failures are learning opportunities. Problems are challenges to overcome. Physical, mental, and busyness clutter get in the way of success. Before you start, make space for your home business. Set up your home office to be conducive to getting your work done. Re-set your daily schedule so that you have time every day to work on your business, even if you have to build it on a part-time schedule. Let your family know about your goals and enlist their support. Every year people set goals, but they don’t necessarily commit to them. Achieving goals requires action. That starts with making a plan to reach your goals. Once you have your plan, you need to commit to working it every day.